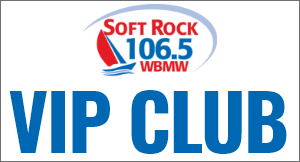 Teresa Berry and Shawn Murphy with the Wake-Up Show weekday mornings on Soft Rock 106.5 WBMW! Teresa Berry was born to be a radio personality! Born in Seattle, Washington, Teresa’s mother worked in radio before later moving on to voice work in Germany and across the country. She comes from a family of broadcasters – out of five siblings, four are in the radio / television business. Berry attended Paul Quin College in Dallas, Texas, majoring in broadcast journalism. Her ultimate goal was to be a writer, but decided TV / radio would better suit her. 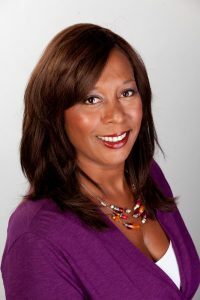 Her first big break in radio came when she worked for ABC radio in Dallas, before moving to Connecticut. She loves music – all types and genres of music. If you have any questions about musical acts, songs, and year, she could certainly tell you! Growing up in Germany there was only 1 station. AFN (American Forces Network), so the format of the station was everything from Abba to Zeppelin. Most annoying habit : I sing constantly. Most proud of : My goals have been met thus far in life. The one thing I would change about humanity : Change the hearts of people with evil in their hearts. Favorite Television show : Real Housewives of …. Craziest thing I ever did : Took a Greyhound bus across the country with only a backpack! The thing I most remember about my parents : How happy they appeared, before they split! The thing I admire most in a person & myself : Enjoying what I have and not what someone else has. My most unusual job : Working in a factory for 3 weeks making styro-foam!